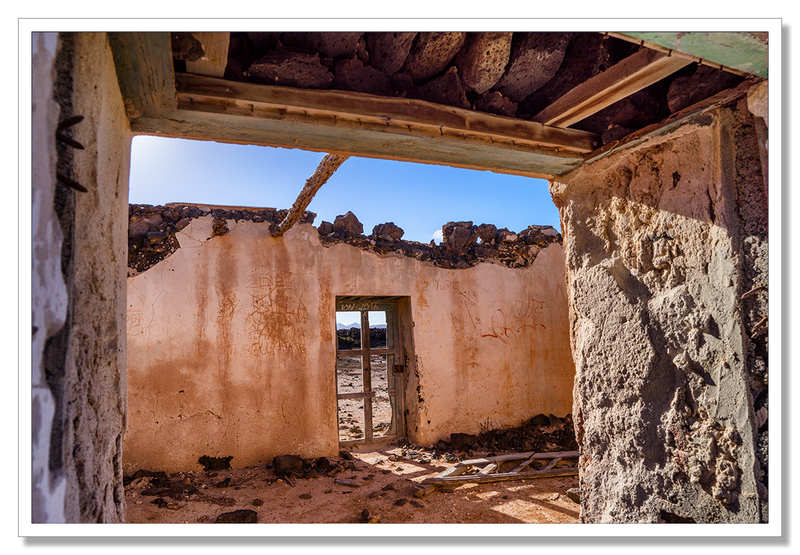 Here in Fuerteventura, there is evidence of austerity through many decades from humble one room dwellings, part of an entire abandoned village, to once grand houses, reduced to rubble along with modern apartment complexes left skeletal and unfinished presumably post 2008. I’ll get to those. Clearly here, it’s not just the poor that have suffered from harsh economic times. You can guess my next project. I’ve set about, in between enjoying the beach and the fine restaurants, to document this in a photo essay and articles to be produced when I get home. This entry was posted on September 11, 2017 by Chillbrook. 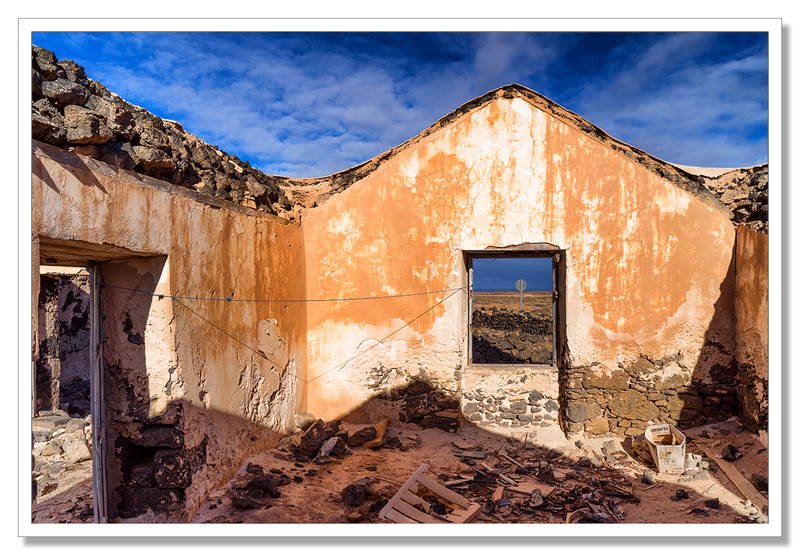 It was filed under Photography, Photography and Travel and was tagged with Abandoned, Adrian Theze, Austerity, Cornwall Photographic, Decay, Economic Decline, Fuerteventura, Landscape Photography, Photography. Excellent images, Adrian, and a great idea for a project. Documenting is vital. Thank you Jane! It’s so striking here how people have been effected by economic hardship over many, many years. Island life is hard. Much harder before tourism of course! Oh, I shall look forward to that post!! I am sure you won’t! Great photos and can not believe that in this time ,where so much people try to find a house,they don’t do something to makes this houses again for living in it aftie renovation. Thank you Lou and you’re so right. Renovating old buildings makes so much more sense than building new ones especially given we know we are not building enough. Marvellous, not only the scene, but the yellows and blues…you cannot go wrong! Thank you Paula. The colours are so vibrant under the wonderful light here. 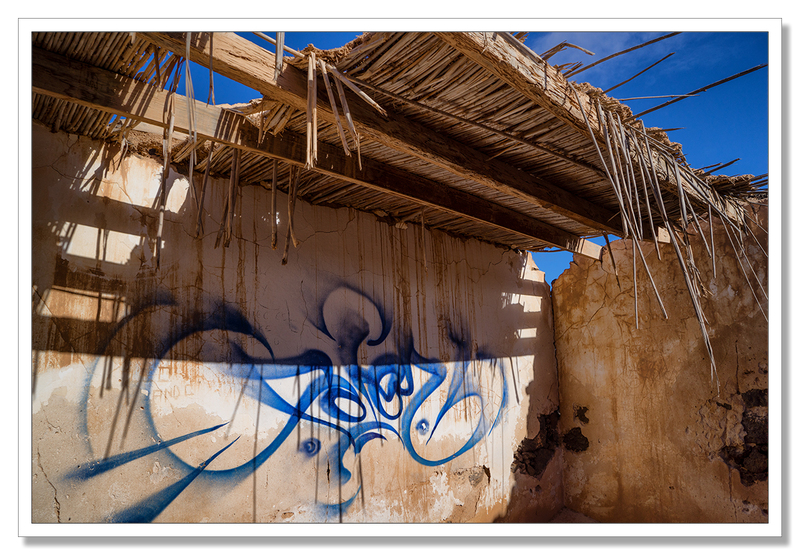 …..strong colours and geometry…and politics? Sounds interesting, but something that happens all too often in this world. Looking forward to the photos. Doesn’t it just. Being on this small island and seeing so much evidence of hardship through the ages is really quite striking. Thank you as ever Mr Dragon! Such beautiful light! It makes the shadows speak loud and clear. Thanks. Thank you Harold. The very strong light is a real gift for this kind of photography! 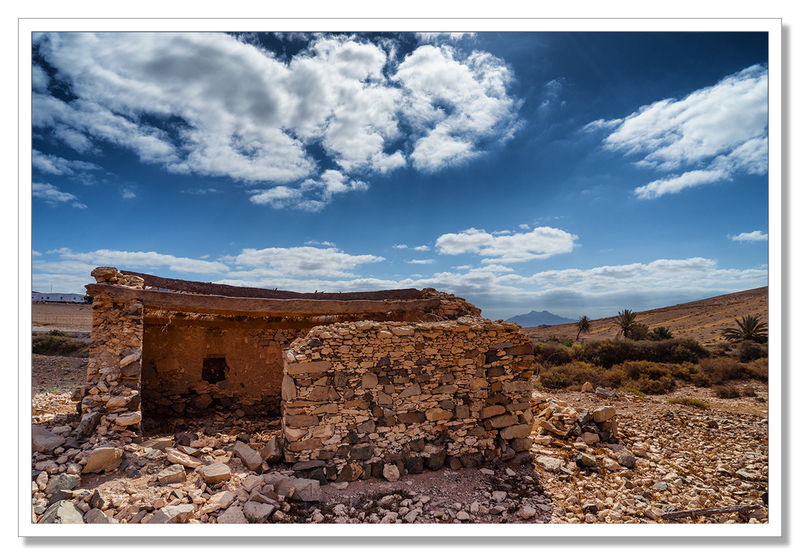 Reminded me of the abandoned houses of Lüderitz in the Namibian desert. By the way, I find your political asides quite charming and to the point. No need to apologize for it in my opinion. Lovely light and textures Adrian. Chillbrook for PM? Thank you Mark. Ha! :-D There was a time I considered going into politics but I realised I think I would have been eternally frustrated. It is indeed Simon. Thank you for you comment! Very interesting about the definition of austerity and the evidence around you. The photos have such gorgeous colors. I look forward to seeing more. My favorites are the first and second, and I like that distant sign seen through the window. What a different set of circumstances from working in Iceland! The contrast between the beautiful images and the decaying leftovers of those who once struggled in these place radiates the sad austerity you are writing about. I think sometimes politics are necessary. :-) I do look forward to seeing you story once it’s completed. Truly a splendid series of photos Adrian. It is such a contrast to your recent work, which made it even more fascinating for me. The first two shots swept me right into the scene. Interesting new topic, dear Adrian! And exquisite photos. This is a something I have seen in many spots on the Balearic Islands as well. For me this abandoned-not-finished-dwellings is typical Spanish. I don’t know any other country with similar structures. Looking forward to your next posts! Thank you so much for your comments. It is strange that these structures lie abandoned in this way but we know that the Spanish economy, rather like the Greek, has suffered so much more than most of Europe. That goes for the modern abandoned buildings of course. Not sure about the much older ones. I hope that all is well with you in Bonn. I’ve just been working my way backwards through your posts from Fuerteventura – rather late in the day, I must apologise. The last few weeks seem to have flashed by and I’ve found it hard to get back into any sort of routine, especially checking through the WordPress reader. One of the abiding ‘images’ I came back with from our visit to California 25 years ago was one of decay and abandonment. Out there it seemed that because there was so much space, you just abandoned your last car or pickup and let it rust away rather than trade it in for the next model. 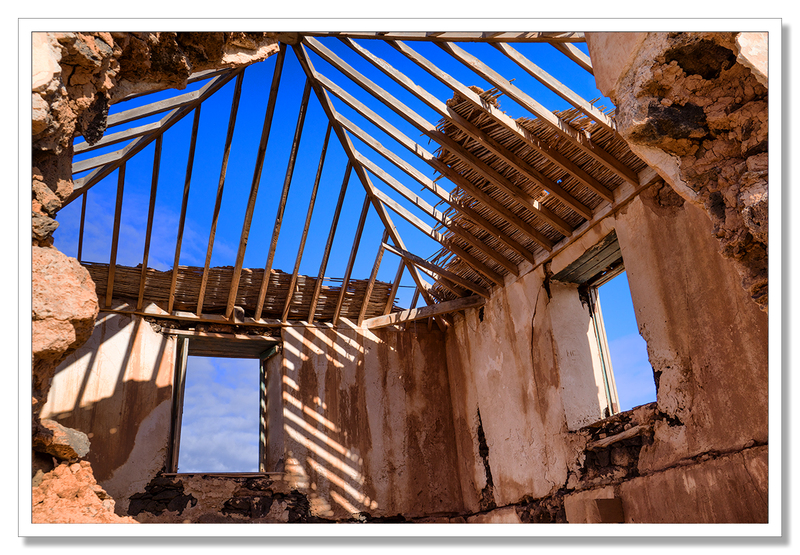 And buildings were left to rot, whether through hard times (this was way before Austerity UK style), or just no-one could be bothered to do anything with them. I found it very sad. 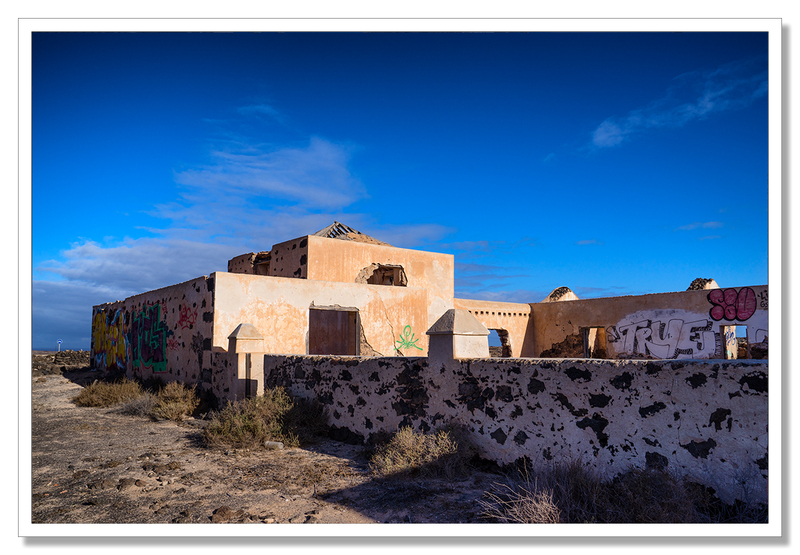 The stories in the Canaries I suppose reflect a variety of stories but behind them all there is a history of abandonment. Maybe occasionally moving on to better, but often one suspects leaving because the going got too tough. 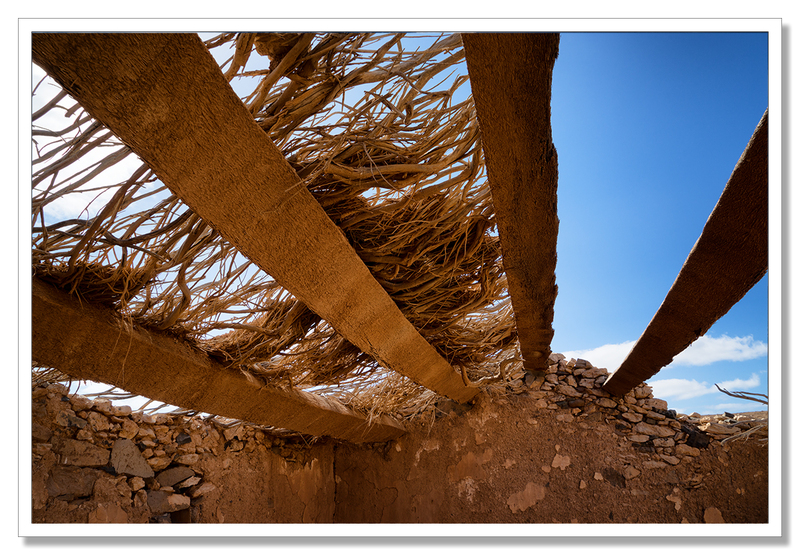 These are all well visualized photo essays – certainly documentary. Good work Adrian. Thank you Andy and no problem, your comments are always welcome whenever they come. I admire the fact that you went back through the reader after a couple of hectic weeks. Needless to say, my last couple of weeks have been anything but hectic and it’s been bliss after being so absorbed with the Iceland pictures. It’s been a real nice diversion to stray into the area of documentary photography and I really appreciate your endorsement of what I’ve done. I’ve concentrated on these three locations but there are many more that I could photograph. 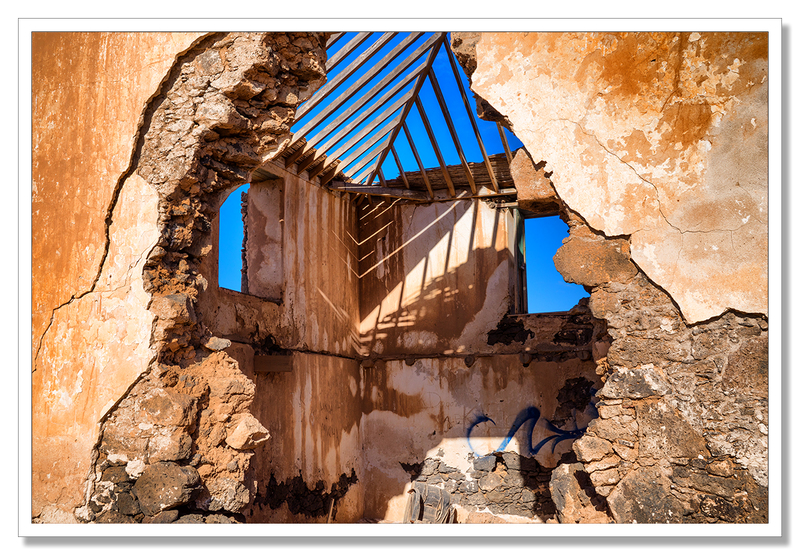 Dina made the comment that she has often seen this kind of abandonment in the Balearics but never anywhere else. You mentioned California, strong Spanish influences? Just a thought.